This biography of Elizabeth Taylor tells her story as no other can. Drawing on extensive reporting and interviews, Kitty Kelley’s classic portrait follows the rise, fall, and rebirth of the woman who was perhaps Hollywood’s brightest star. 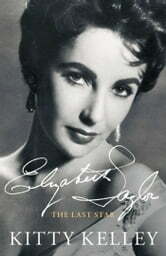 Now with a new Afterword by the author, this is the definitive record of Elizabeth Taylor’s fascinating life.